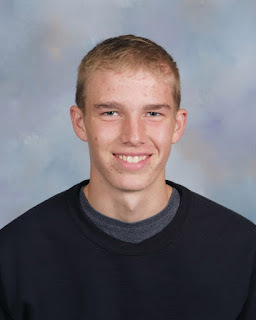 The American Legion Post 218 is pleased to announce that Evan True of Exeter will join nearly 400 other high school juniors from across Nebraska participating in the American Legion Cornhusker Boys' State, June 5 - 11, 2016, at the University of Nebraska - Lincoln downtown campus. The annual citizenship program, sponsored by the Nebraska American Legion, is designed to provide youths a better understanding of how city, county, and state governments operate. American Legion Cornhusker Boys' State is set up as a functional "51st state" and each boy learns how government subdivisions operate by actually doing the job. Participants will campaign for offices, hold elections, take part in band and chorus, compete in athletics, and be involved in other varied activities as part of the citizenship training program. They will set up their own state government and draft bills.